Pilot your own snowmobile across the ice of Fish Lake, along forested trails and into the grandeur of the Yukon’s Coast Mountains. Learn the safety needs of snowmobile operation and winter travel. 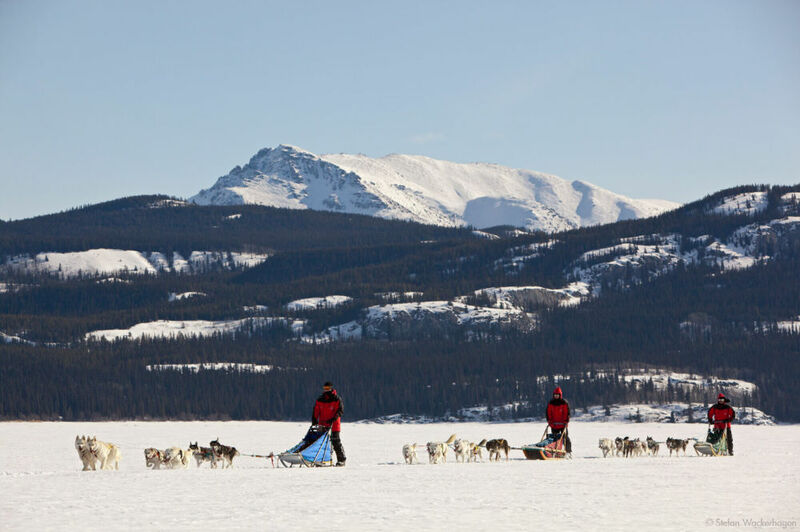 Mush your team of huskies along the Takhini River and through the Ibex Valley. Enjoy a beautiful winter wonderland and the bond that exists between you and your dogs. 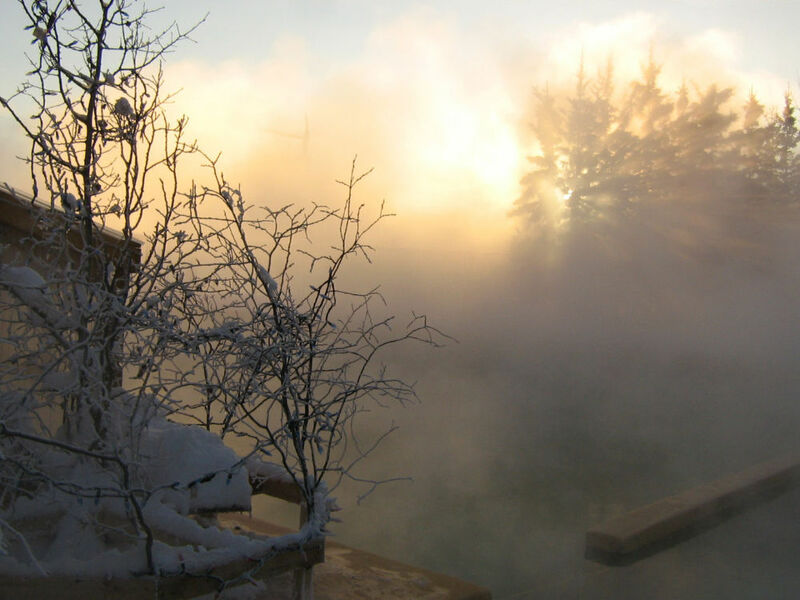 Photograph Yukon wildlife at the Yukon Wildlife Preserve and relax in the soothing waters of the Takhini Hot Springs. CAD $1539.00/person + 5% GST, based on double occupancy. Single room supplement at CAD$305 + 5% GST. 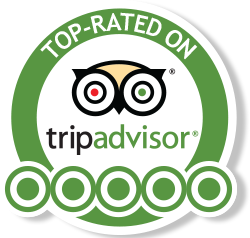 We'll greet you at the airport and bring you to your hotel in downtown Whitehorse where you'll be staying for the duration of this tour. All stores, banks and important sights are within easy walking distance of the hotel, so you may explore this lively northern town on your own. At 10pm we'll depart for the first night of aurora viewing. 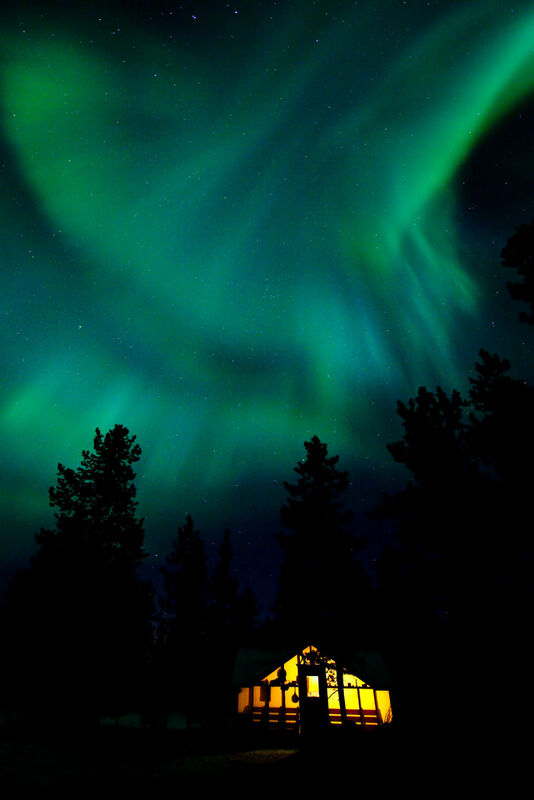 A cozy, heated wall tent with hot drinks and snacks makes your northern lights viewing experience even more enjoyable. Return to the hotel around 2.30am. we'll show you the capital of the Yukon and the surroundings to give you a first impression of this wonderful country: During the city tour you'll see the old train station of the White Pass & Yukon Route railroad, the Log Skyscraper, old Log Church and the paddle wheeler SS Klondike. We'll also show you some residential areas and we'll stop at the Visitors Reception Centre. 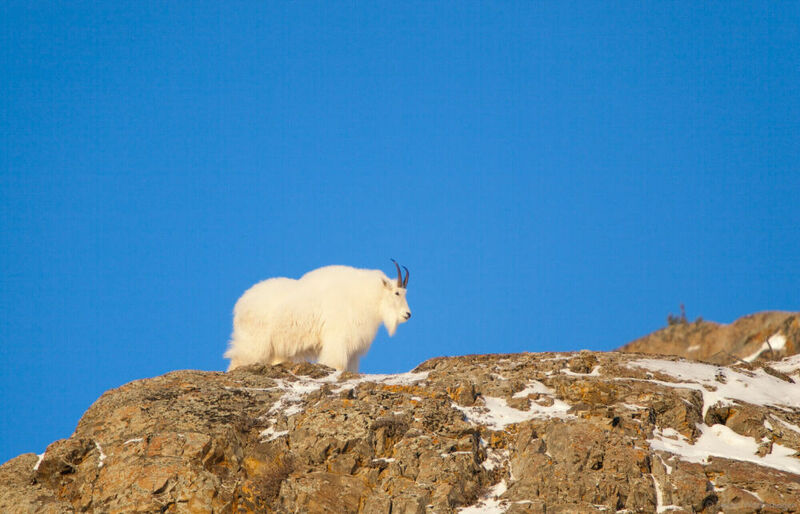 On the way to the Takhini Hot Springs we'll stop at the Wildlife Preserve where you'll see most of the wildlife seen in the Yukon, such as Moose, Caribou, Bison, Dall Sheep, Big Horn Sheep, Musk Oxen and others. At the Takhini Hot Springs we have time for a leisurely swim in the hot waters. 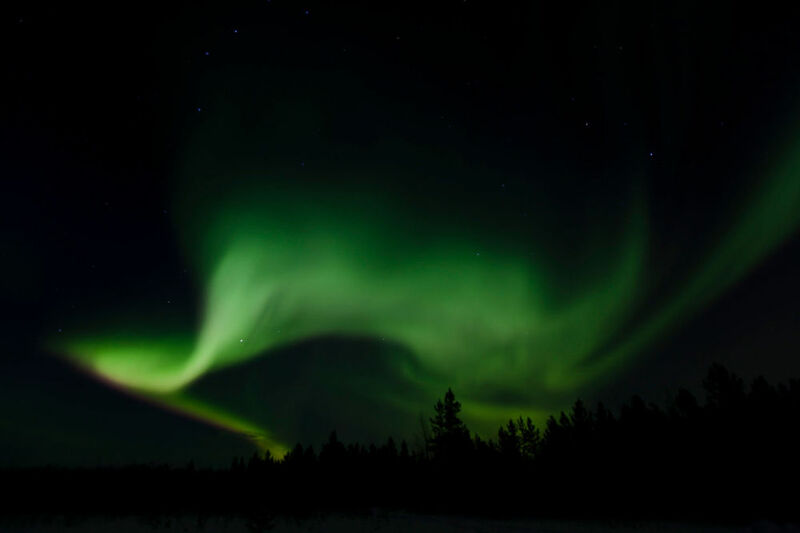 After a nice dinner we ’ll pick you up at 10 pm for your second guided northern lights viewing tour. At around 2.30 am we’ll bring you back to your hotel. This is the day for our snowmobiling adventure: Our van will take us up to Fish Lake, just over half an hour away from the hotel. Here we'll get our instructions about snowmobile safety and any further instructions we'll need and off we are across the lake and into some of the most beautiful mountains you may imagine! Lunch will be served on the trail and by late afternoon we'll return to Whitehorse. At 10 pm we’ll take you out to your third night of aurora viewing. Another highlight of this tour will be this full day dog sledding tour along the Takhini River and into the Ibex Valley west of Whitehorse. First we'll be introduced to the many dogs and instructions will be given about mushing and safety on the trail. Then we'll be assigned our team of from 4 to 6 dogs and off we go! We'll follow well prepared trails and our guides will make sure that we are always in control of our teams. Lunch will be served along the trail when both, we and the dogs need a well deserved break. By late afternoon we'll return to the kennel for a mug of coffee or hot chocolate before we'll return to the hotel. At 10 pm we’ll take you out to your last night of aurora viewing. You'll start your next adventure in the Yukon or the complimentary hotel airport shuttle will bring you to the airport in time for your flight home. Average temperatures at this time of winter are between -2° and - 24° Celsius / 28 to -31 degrees Fahrenheit, but extremes may be as low as -45° Celsius / -50 Fahrenheit. We ask you to bring adequate clothing to withstand these temperatures. You may buy winter clothing in Whitehorse or rent a clothing package from Northern Tales Travel. ‍This tour has many elements of an expedition and therefore changes in the itinerary due to weather and road conditions are a possibility. Northern Tales Travel explicitly reserves the right to adapt the tour itinerary. ‍Canadian law requires that you sign a ‘release of claims and waiver of liability form’ prior to participating on this trip.